Carnegie Free Library opened its doors on April 30, 1903 due to the generosity of Andrew Carnegie, who believed that education is the cornerstone of success. This was a one time gift with the promise from Connellsville that the borough would provide for the continued upkeep of the building. At that time, Connellsville was the leading coke producer in the world and immigrants were flocking here to work in the mines and coke works. Built of sandstone in the Italianate manner, the building housed books and magazines and offered early patrons both educational and recreational reading, as well as musical evenings in the second floor auditorium. Over the years the building has had few external changes. In the late 1960’s a basement stacks area was added and a mezzanine tier in the 1970’s. 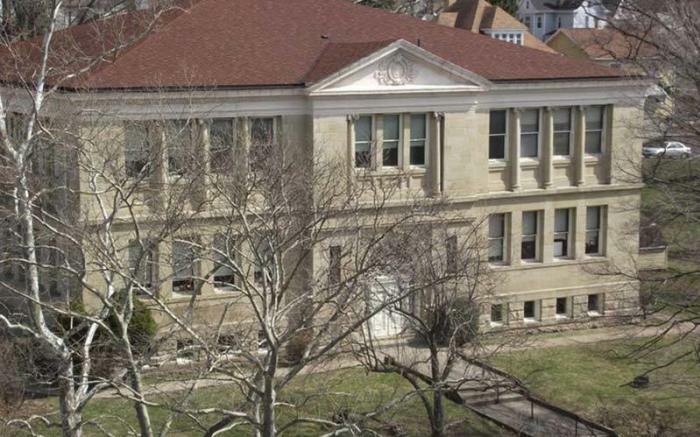 The library was named to the National Register of Historic Places in 1981, and the board of directors, with the help of the community, has made a concerted effort to maintain the structure. Close to a decade ago, one room on the main level of the Library was restored to be the official Reference Room, now The Gettys Room, to its 1903 appearance. Some more recent changes have been remodeling and restoration of the Children's area, creation of a teen area "The Mezz", creation of the Connellsville Area Historical Museum, and most areas have received a fresh coat of paint. Also asection of the basement has been made into a classroom area. Our next major projects include replacing the windows and lighting along with an update of the auditorium. The Library also has wireless Internet available to the public along with 14 computers. The Library catalog of over 35,000 volumes, magazines, DVDs, audio materials is now available to search online. In addition there is access to several thousand e-books and audio books available for downloading to your computer or e-reader device.